Most people blame their failure in MLM on their upline, their company, the industry, the economy, or any other circumstance but themselves. 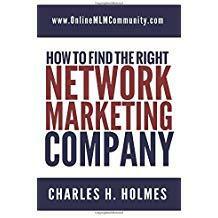 While you might be struggling with your current network marketing company, there are also many distributors who are achieving success with the same company. So you can’t blame the company for your failure. If it works for some folks, it can work for you. It’s a common fact that nearly 9 out of every 10 business fail (traditional world and MLM). When you study the successful businesses, you discover trends. The same holds true with failing businesses. When it comes to the MLM industry, it’s said that we have a 97% failure rate. I don’t know if that’s 100% true or not, but let’s assume that “most” people fail. When I study the people that fail in our industry, I quickly notice similarities. In the paragraphs below, I would like to share some of these trends/similarities with you, so you can learn the common mistakes and hopefully avoid them yourself. Let’s get started. 1. You Aren’t Being Consistent: Without a doubt, the single greatest reason people struggle in this industry is because they don’t do the work consistently. They might think about their business all the time, but they don’t take action and do the work every single day. You must plan your work, be disciplined and be consistent. You must work on your business every single day, every week, every month, and never stop. Wishing your way to success won’t get you there. Instead, you have to work your way to success. You can’t work on your business 1-2 hours per week and expect much to happen. You must be persistent and consistent. 2. You Don’t Have a Game Plan: The next common reason people struggle with their MLM Company is because they don’t have a concrete game plan. They don’t have any written goals and they don’t know what they need to do on a daily basis to succeed. At a minimum, you need a simple business plan and a marketing plan. These documents should be written down on paper, viewed daily, and updated frequently. Any time you have a question about what to do, you simply can refer to these documents to find out. You should also have a daily mode of operations or daily action plan that you can follow every single day. 3. You Don’t Have Upline Support: This is another common reason for failure in MLM. The person you partner up with is 100 times more important than the company you join. You need an upline who has the time, money and resources to help you get started and achieve success. You need someone who will match your effort. You need a sponsor who has a game-plan and is willing to help you succeed. Without a good sponsor, or upline support, you limit your odds of success. A good sponsor won’t do the work for you, but they will hold your hand and guide you through the process. Choose your sponsor wisely. On a side note, you can succeed without a good sponsor (plenty of people have), but it certainly does help to have a good sponsor. Learn how to pick a sponsor. 4. You Aren’t Doing The Right Tasks: Sorting files in your office, checking email and reading your product catalog are not productive tasks. The only productive tasks in this business are (1) prospecting, (2) generating leads, (3) scheduling appointments, (4) giving presentations, (5) following up, (6) sponsoring new team members, (7) training and helping your team and (8) finding customers. All other activities come secondary. You should spend 90% of your available time on these 8 tasks. These are known as the money producing activities. If you’re struggling in your business, you aren’t doing the right activities. 5. You Don’t Have The Right Skills: Another common reason for failure in this industry is lack of skills. Let’s face it, you will probably need to go through a learning curve in your business, before you will master your MLM Skills. If you don’t have any experience in this industry, or as an entrepreneur, it will probably take you a few years to develop the skill-set you need to succeed. It’s foolish to think you can just start a network marketing business (especially if you’ve never had a business before) and achieve success right out the gates. Unfortunately, very few people are willing to stick around long enough to develop this skill-set. You can improve your skills by taking massive action, working your business every day, learning from your mistakes, reading books, attending seminars, working with your upline, and enrolling in automobile university (listening to tapes or CDs in your car). If you stay persistent and consistent, you can develop the right skills in a year or two. If you don’t believe in yourself, your product line, your company and the network marketing industry itself, it will be obvious to your prospect and you will struggle in your business. Many people have low self-esteem and lack confidence. Many people have worthiness issues and don’t think they deserve success. If you have difficulties in any of these areas, get some help from a licensed professional. By no means do you want to be over-confident or arrogant, but you do need posture, confidence and belief. You can also build up your belief by using the products, educating yourself about the industry, improving your skills, and working your business every single day. In summary, these are the six most common reasons for failure in the network marketing industry, as I see it. Remember, the only way to fail in MLM is to quit or do nothing. If you don’t quit, you won’t fail. If you do something to build your business every single day, you will make progress. You might struggle for a while, but eventually you will figure out what works and you will ultimately succeed. What are your thoughts? Why do you think people fail in MLM? Leave a comment and let us know what you think. I look forward to hearing from you. Next Next post: MLM Brainwashing: Is Everyone in MLM Brainwashed? Great simple tips for MLM! Great post! I agree completely. All the points you made were good ones, but I especially liked the ones you made on consistency, having a game plan and having low self esteem. You should always have a game plan in place before you start (this applies to more than just network marketing too!). And being consistent is always wise. But I agree the most with your point on low self esteem. I think so many people fail in MLM because, just like you said, that don’t think they deserve success. They don’t believe in themselves and their success enough. Doing something every day and sticking with it for the long haul is the key to success in this industry. You know, your last thought really stuck with me. “If you don’t quit, you won’t fail.” That’s so obvious, and yet so true, and it’s probably true across the entire spectrum of life, not just the MLM business. The best and easiest way to lose is to give up. So, if you prefer to win instead, you should do the opposite–keep trying. I guess I’d add one suggestion to that, though. One shouldn’t try the same strategy over and over if it’s failing. Instead, one should experiment a little to see if trying something different will change the outcome. To apply this to the MLM business, if you’re not succeeding with what you’re doing now, experiment with something different. Try a little advertising, or attending networking events, or calling former clients and inviting them to return. Sometimes a little tweak will help you cross the goal line as long as you keep on running! Sticking with something is sometimes 90% of the battle!